We’ve received literally tons of donations to our textile recycling banks at fire stations across the UK. We’ll be tallying up the results and announcing the winners of the Bag it and Bank it Recycling Championship in the next couple of weeks. Thank you to all of you who helped spread the word about our campaign online and in your local community. We’ve highlighted some of your posts and tweets below. Brewood fire station now has a clothing bin to collect any unwanted clothing, handbags or shoes to support our fire fighters charity. 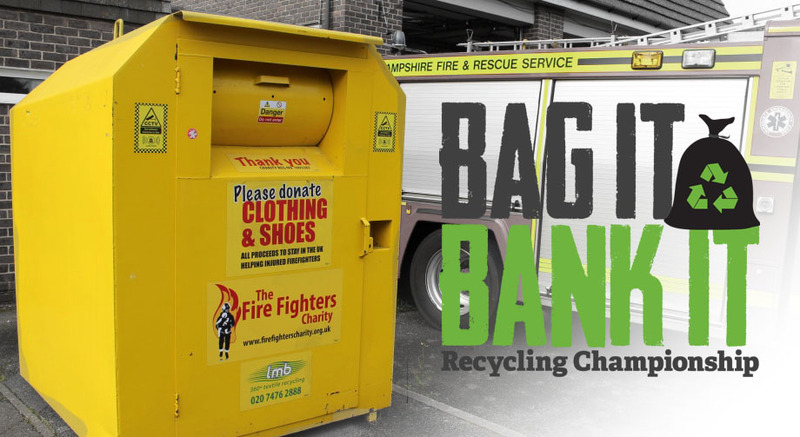 As this year is the 75th anniversary of @firefighters999 we want to help hit the £75,000 target raised from clothing banks this month! Can you help us win the Best Recycling Fire Station in England?